This article was posted on Friday, December 18th, 2015 at 1:32 am and is filed under Tours of Peru. Soccer has a reputation for being underappreciated in the U.S., but the numbers show that this trend is finally changing. According to recent surveys, soccer is the most popular sport among American youth, and more young kids are playing in soccer leagues than ever before. On top of that, more Americans watched the 2015 Women’s World Cup than watched either the NBA Final or the Stanley Cup.1 While the American MLS league still doesn’t draw the big numbers that the NFL, NBA, or MLB do (though it is growing in popularity), the States are home to a growing group of diehard soccer fans, many of whom watch European and South American football with a dedication that rivals that of local fans. If you’re one of those soccer diehards mentioned above, then you probably dream of getting to see soccer played in a country where the general population loves it as much as you do. While it may not b a soccer powerhouse on the same level as its neighbors Brazil and Argentina, there are still plenty of reasons why soccer fans from all over the world should make time in their schedules to visit Peru. Peru has been playing soccer since the 1800s, when the sport was imported to the country by British sailors and immigrants. As early as 1845, the influential sports group the Salon de Comercio was promoting the spread of fútbol alongside fellow British imports cricket and Rugby. In 1912, the country hosted its first league competition, featuring teams that still dominate the Peruvian leagues to this day, Alianza Lima and the Universitario de Deportes. By 1927, the country had its own official national team (known popularly as Los Incas or La Blanquirroja, after the red and white color scheme of their uniforms), which played in the first ever World Cup in 1930 and the 1936 Olympics in Berlin. Since that time, soccer in Peru has only expanded, with teams competing locally and internationally. Ask Americans which sports team is the best, and they’re likely to mention the US Olympic Dream Team, the 1995 Chicago Bulls, and the 1927 New York Yankees. But the Peruvian national soccer team of the 1970s (known as The Golden Generation) probably deserves a spot on the list as well. After a decline in the 60s, La Blanquirollo came roaring back with a team of young stars, whose careers climaxed with their victory at the 1975 Copa America. The new team stunned the world at the 1970 World Cup with shocking victories over Argentina, Bulgaria, Germany, and Morocco, before losing to Brazil 4-2 in what is still widely considered to be one of the greatest World Cup matches ever played. The Golden Generation even had its own version of Michael Jordan or Babe Ruth: Teófilo Cubillas, who the International Federation of Football History and Statistics has ranked as the 48th greatest soccer player of the 20th century. 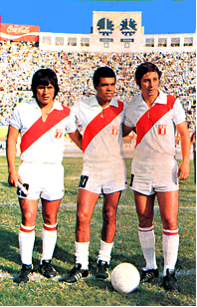 To this day Cubillas still holds the record for most goals scored of any Peruvian player. Unlike the NFL or the MLB, which only play for six months out of the year, you can find a professional soccer game being played in Peru anywhere between February and December. The Peruvian Primera División, the top division of Peruvian soccer clubs, has 16 teams, each of whom play 30 games throughout the year. 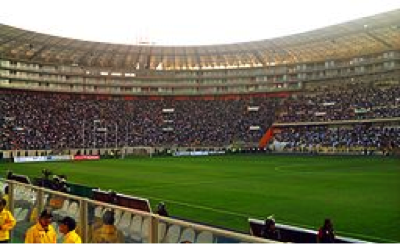 Peru even boasts one of the great sports rivalries: Alianza Lima vs. Universitario de Deportes. The rivalry began at the 1928 at the El Clásico Peruano, a league derby where match between the two teams that turned violent. El Clásico is still held every year, and when the two teams face off it is guaranteed to be a dramatic and memorable match. Ready to experience South America soccer, Peruvian style? 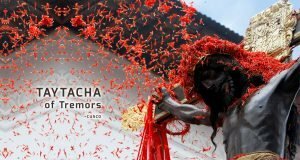 Book your tickets through Best Peru Tours and save money on your trip. U.S. and Canadian residents can contact us toll free at 866-788-5647 today.